Google has had a big refresh this week revealing new devices such as the Pixel 2 and Google Home Mini, but Android Wear wasn't even mentioned in the announcement and now the section referring to Google smartwatches has been taken down from the Google Store. You can find the flagship Android Wear 2.0-toting LG Watch Sport and LG Watch Style on the Google Store, but each has now been listed as "no longer available". 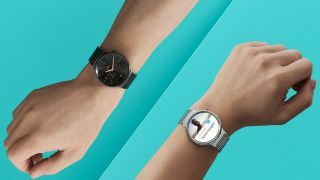 Some Android Wear fans have panicked, thinking this has tolled the death knell of Google's smartwatch OS, but there's quite a simple explanation of why this has happened and it's to do with Google's new sales strategy. On Twitter, Android Wear and Google employee Hoi Lam explained that the company only wants to push "Google made hardware", but there aren't any home-grown Android Wear products at the moment, so there's nothing appropriate for Google to stock. This matches with the "Made By Google" tagline and hashtag we saw at the event earlier this week. Google is instead pushing Android Wear products on retailer sites including Amazon and offline sources as well.